These 18kt yellow gold Gucci earrings, part of the Icon collection's Twirl line, put a literal spin on contemporary glamour. An exclusive revolving disk creates interest and leaves a lasting impression. 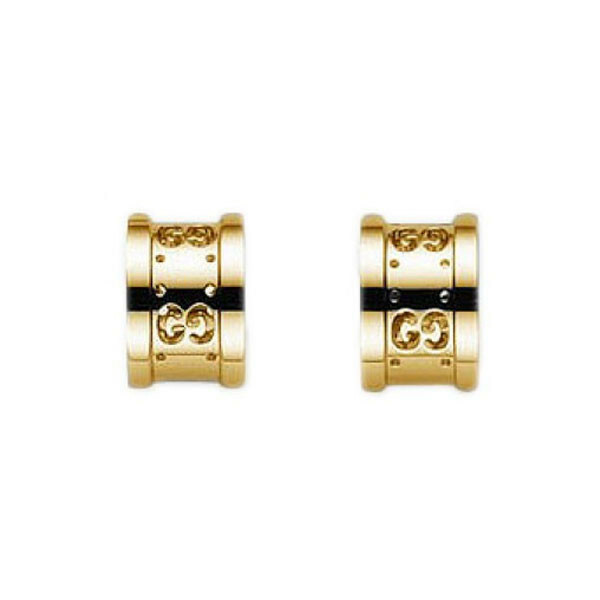 Gucci understands that you never get a second chance to make a first impression; these earrings prove it!